NTU Senior Fellow Mattie Duppler testified before Ways and Means Subcommittee on Social Security's Hearing “Comprehensive Legislative Proposals to Enhance Social Security” on April 10, 2019. Read her full testimony here. Watch the hearing here. Good morning. I want to thank Chairman Larson and Ranking Member Reed for the opportunity to be with you today. I applaud the important work all members of the committee have undertaken to tackle the tough policy question before us today: protecting and improving Social Security. My name is Mattie Duppler, I am the Senior Fellow for Fiscal Policy at the National Taxpayers Union. I want to offer some thoughts on a group that often doesn’t get much attention in the conversation surrounding Social Security: young people. For many Millennials who entered the workforce during the recession, the recent economic expansion has been their first opportunity to grow in their careers and build wealth. However, the looming fiscal insecurity of entitlement spending, coupled with proposals that would force this cohort to shoulder new tax burdens, threaten to undermine this progress. 2019 marks the first year where Millennials will overtake Baby Boomers as the country’s largest living generation, making up a full quarter of the population. Data shows that they differ from previous generations in ways that have significant impact in public policy. For one, millennials are more likely to start their own business. In fact, a recent PwC survey found that over a third of millennials currently operate a “side hustle” in addition to their full-time job. This means many young people in the workforce today are not only employees but potential employers as well. This also means that increases in the payroll tax fall heavily on this cohort. The Social Security 2100 Act proposes increasing payroll taxes 2.4 percentage points, split between the employer and the employee. A sole proprietor would be responsible for both of those increased liabilities under this plan, potentially increasing their payroll taxes by thousands of dollars. For workers who are focused on growing their careers inside of an existing business, an increase in the payroll tax further erodes opportunity for them. A 2.4 percent increase in the payroll tax would result in an employer who hires a college graduate at the average starting salary of $50,000 facing an additional $600 tax burden for that employee, hiking the payroll tax cost of that employee to $3,700. The dead weight of this loss of income is another question entirely. Data on millennials also show that they hold more debt than cohorts at similar stages in previous generations, but generally lack the same rate of asset and wealth accumulation. An increase in payroll taxes exacerbates this divide by depriving younger workers of the means to save and grow their wealth. On the subject of saving: the noble and necessary goal of providing a social safety net for all Americans, particularly in retirement, is important. But the demographic demands now placed on the program require embracing a more holistic approach to retirement security. The beneficiary to payer ratio has changed so drastically since the program’s inception that Congress must work to strengthen and secure Social Security without simply shifting its growing costs and liabilities to future generations. This requires improving the financial literacy of younger generations to prepare them to save for their futures. 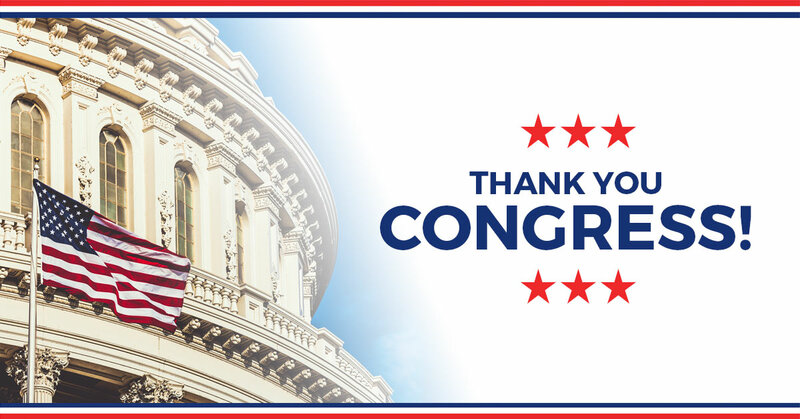 Congress itself has acknowledged the importance of expanding opportunities and vehicles for savings: from the creation of 401(k)s and IRAs to the bipartisan passage last year in this body of the Family Savings Act, the importance of expanding savings opportunities is clear. Conventional financial wisdom dictates that the best time to start saving is today, as each day that passes is a missed opportunity to accrue interest and grow wealth. As such, confiscating a larger share of the burgeoning incomes of younger workers robs them of the resources to begin their own savings journey. This disparity will widen with each year that passes without reforms to Social Security, and be exacerbated by reforms that expand the tax burden on young workers. Lastly, I would urge Members to consider the consequences to economic mobility. Increasing the marginal cost of an employee ultimately represents an additional barrier to wage increases. Both CBO and the Social Security Actuaries expect employers to cut salaries in response to an additional payroll tax levied on higher income earnings. What’s more, the income exemptions in this bill are not indexed to inflation, meaning they eat up a larger share of employee income over time. This will further erode young people’s earnings opportunities as they move up the income ladder. The workforce today looks different than the workforce of different generations; this is a feature, not a flaw, of the American system. As our economy evolves, however, so too must our public policy. I thank the committee for its commitment to preserving Social Security for future generations, and appreciate the opportunity to share my thoughts on how to do that today.